You are here: Home / How to Travel the World / How to Travel the World? 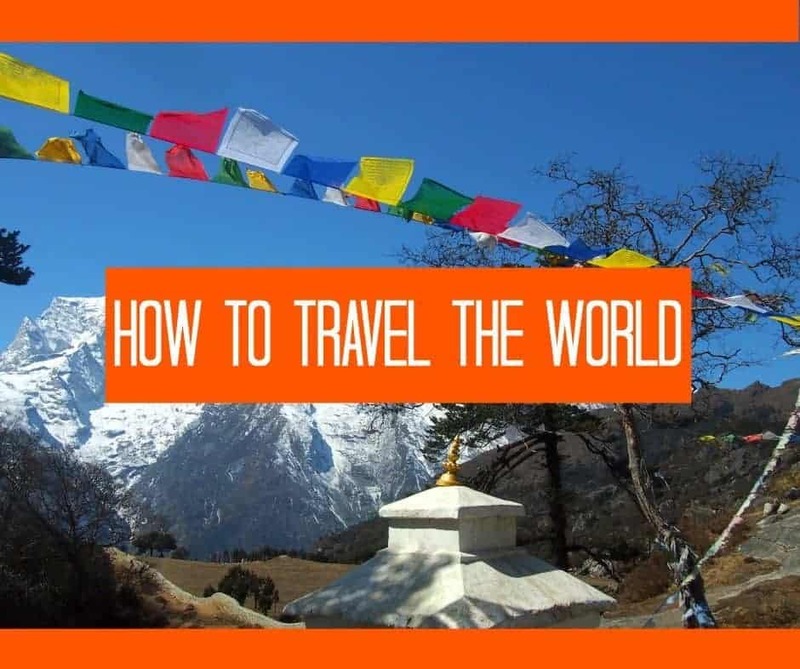 You want to know how to travel the world, right? We’ve done it, so can you. It could be a 2 week vacation to an exotic, far-away place that just puts you a little outside your comfort zone, or you could be wanting to travel for a year, maybe more, as a family, as a single or as a couple. Whatever it is you’d like to do, however you’d like to live your dreams, our new section, how to travel the world, will answer your questions and show you how to plan and execute your own travel adventure. 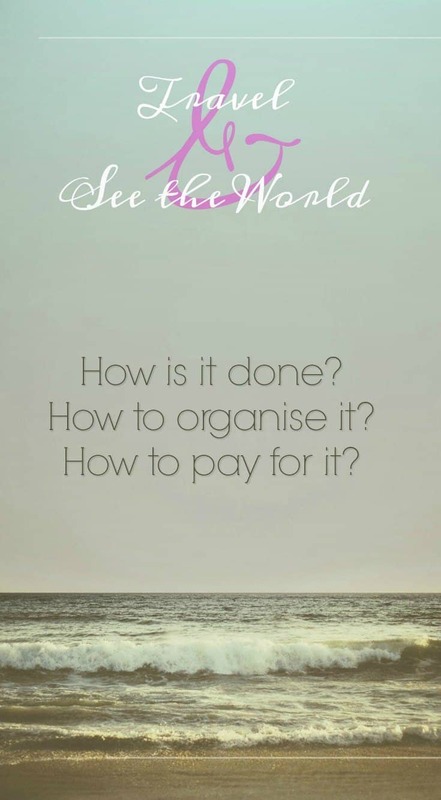 So, if you want to travel the world solo, with a baby, with a child, as a family, on a low budget or in luxury and style, the basics are the same, we can help you. So far this website has mostly been about us, how we did it and how we continue to do it, with a few travel tips, destination, accommodation and attraction reviews thrown in. Now I’m going to tell you how to do it, how to travel the world for a year, a month or a week. What steps do you have to take? What do you need to consider? What mustn’t you forget? Let’s start right now. Where do you want to go? Look deep into your soul and figure out what you really want to see, experience and try. Don’t go because all your friends have been or it’s the latest cool destination, where do you really want to go? Jot down all of your dreams, countries, particular natural wonders, famous historic sites, anywhere and everywhere you’ve always wanted to go and do it right now. Keep that notebook handy and add a destination whenever you remember that something special you really wanted to see, be it a festival in India or a pyramid in Guatemala, write it down. Maybe hop over to our travel destinations page for a little travel inspiration. This works for long or short-term travel, even if you’re just going to one country, there will be places within that country that you absolutely HAVE to see. You can use our website for researching your destinations, or you can use a guide-book. Some of the best are below, we use Lonely Planet and always have, but it’s your choice. A good guide-book not only gives you maps, directions, hotel and restaurant suggestions and descriptions of destinations, it also should tell you about the culture, history, language and traditions of your destination. For us they are indispensable in learning about the world. How Long Can You Travel For? Most of us, if we really want it badly enough, can escape normality for a year. Some of you may not want to, that’s fine, but still, you need to figure out how long you can be away for. We’ve been away over 4 years now and nothing bad has happened, the opposite infact, it’s been an incredible ride. How long do you want to be away? What would be your ideal length of time to travel? Will you be able to escape your job, family and housing commitments? If not, it’s time for a rethink on home and employment. If you are in debt you may need to take drastic measures, saving, selling and re-inventing to shake of your financial shackles. What will you do with your ” stuff”? Some people sell the lot. Some people sell the majority and stash what’s left in storage, with friends and family, we had some of ours in the loft of our house. We were away 6 years and 99% of the stuff survived just fine. You are probably going to have to save. Not many of us have thousands in spare cash in the bank right now and fewer still have online or remote work that allows us to work as we travel. Quite honestly, working while you are travelling will spoil your experience. Sure, we make a living from the websites now, but our travel is ultra long-term and part work, part pleasure these days. Luckily my work, helping you see more of the world, is a pleasure. To give you a rough idea, we spent $30,000 in our first year on the road, roughly $100/day for a family of 4. Some will do it slightly cheaper, some will spend way more. However much it costs, make sure it’s worth it to you. We are all different, I’m not going to tell you how much you should spend. The above figure is for long-term travel or backpacking, if you need more luxury as you explore, you’re going to be needing a lot more cash. Don’t be put off by the term “budget travel” we never use dorms in hostels and never rough it. Budget hotels and guest houses, hostels too, are remarkably up-market for the price these days. The figure above does not include departure flights, travel insurance or vaccinations as these are paid for before we leave home. At that price some days you will spend very little, don’t expect to be paying big admission fees every day, expect to sit and wonder, explore on foot and chill out as you see the world. It took us a year to save that amount. You can read tips on saving here and thoughts on travel budgets here. I can’t give you a budget and tell you that you’ll need that amount. I can give you an idea on costs in each country, but I don’t know what or how you spend. I can give you bare minimum costs, but you may want to spend way higher. Every country is different. I can’t even give you an idea for Asia, the Americas, Europe and Australia, costs totally depend on where you go and how much time you spend in each place. We tend to spend longer in the cheaper places, less time in the more expensive, that’s how we kept our South East Asia budget to around $50/day first time around. That figure is still achievable, but these days we spend more, $100/day is easy and comfortable to us in that part of the world. We don’t consider ourselves ” roughing it” in any way and always eat and drink well. Figure out how long your saving period will be and set a rough departure date. Tell the world! No going back now. We planned on leaving 1 year after we made our decision, and did. 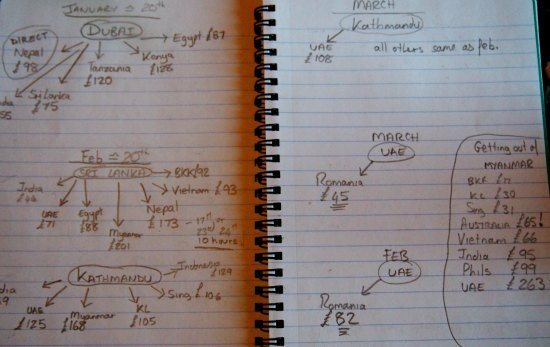 Our planning process last year, on a semi-structured almost 3 month trip. Don’t go into this with a set day of departure in your head, give yourself some room for maneuver. Flight prices fluctuate wildly day by day and you should try to get a bargain. We use Skyscanner to look at daily prices across a whole month. Don’t just look at direct flights, maybe taking 2 flights with a free stop-over somewhere would be cheaper and better. We plan with pen and paper and online resources, our recent Sri Lanka and Nepal trip took shape in this way. 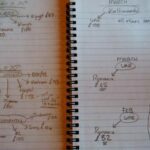 You have your notebook with your list of must-see places, it’s simply a matter of stringing them together in the most practical way, by plane, cruise ship, bus or train. You can do all of your research online. There’s just too much to describe here for now, I’ll just say that there is always a way and it’s really not too hard. See our post above about pen and paper logistics. How to Book Tours, Activities and Tickets in Advance? We use a company called Get Your Guide. Read more about them and why we use them here. They have a lowest price guarantee. 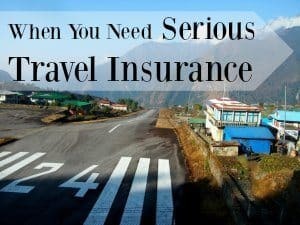 We would never leave home without travel insurance, in our first few months on the road my husband suddenly needed a surprise hernia repair on Ko Phangan. We wouldn’t be on the road now if we hadn’t had insurance to cover it. This picture, from that crazy airport in the Himalayas, what an adventure! A passport with an absolute minimum of 6 months remaining, longer is better. Travel insurance, for medical treatment, emergency evacuation, your belongings and cancellations. Luggage, choose backpack, travel pack or suitcase and invest in the best you can afford. Maybe consider travelling carry-on only. Visas, some countries give these on arrival, others, you’ll need to sort out before departure. Some way of accessing your cash in your destination. This post is on money handling in Thailand. A few small items of travel equipment and medical kit, not as many as some would tell you. You may, only may, need an international driver’s license. You may need travel vaccinations and malaria prophylaxis. Malaria is less common than it was and travel related sickness seems to get rarer in our experience. Logistics, Booking Flights, Transport, Tours and Accommodation. There are different ways of approaching this, polar opposites. A middle ground plan is often best. Book all flights in advance, maybe a meticulously planned round-the-world air ticket. Wing it. Book a departure flight and make your trip up as you go along, going where you feel. 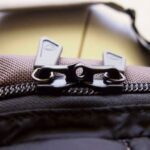 Many travellers worry about onward flights and have heard that entrance can be denied if you don’t have these. We have never found this to be an issue and I’ll be posting about this, and ways to get around this, soon. It is easy to book all of your accommodation in advance for a shorter, planned trip. For a longer, freestyle trip, you don’t need to pre-book it all. But for peace of mind maybe book a few nights on arrival. Peak time travel may necessitate booking in popular destinations. Pick your preferred online booking agent, get to know it well and stick with it. We find Agoda to be best in general, particularly for Asia as they are specialists. Checking every booking engine individually wastes valuable time and leads to stress and frustration. You could also try Hotels Combined, they compare multiple online booking engines to give you the best price. Also sign up for AirBnB ( free to join and our link gives you a discount), they’re often a good option for privately owned apartments, longer rentals or home stays. Booking in advance is entirely possible these days with online resource 12GoAsia ( click here to view). You can pre-book buses, trains , even flights in most of South East Asia, Sri Lanka and India. They are constantly adding new routes. Figure it all out as you go along, pre-book nothing. Your travel style is unique to you. You have to look inside yourself and figure out what style of travel makes you happiest and makes you feel most comfortable or confident. We wing it, 90% of the time, but if you need to book everything before you leave home then that’s absolutely fine too. I just want to make sure everyone knows that it’s not necessary to pre-book hotels, flights, trains, buses etc before you leave home. Pre booking can, in some ways, make your trip more enjoyable. We find that we spend a lot of time on the road planning and researching our next move, it eats into our free time and can get quite stressful. However, I think we save a lot of money by taking the best deals as we find them and we don’t lose any spontaneity. If we hate a place we leave, if we love it, we stay longer. 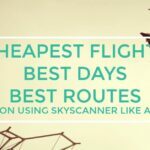 We have a post on finding the best flight deals with Skyscanner, our preferred search tool and one on the ins and outs of booking accommodation for travellers. Just be kind. Do your best. Travelling the world with a backpack, we think, is kinder to the planet than living a ” normal” life, owning a car, heating or cooling a house and buying lots of unnecessary ” stuff”. Just try to make it as kind as you possibly can. How? We can all just do our best. I’m sure you can think of a million more ways to help our beautiful planet. Laundry is super easy to organise in most countries, the only exceptions we’ve found are India and Sri Lanka. In most countries in Asia you’ll find per kilo prices for laundry. Either hand it over to your hotel to wash or find a back street laundry service, the latter is usually cheaper. Pick it up later, clean, even ironed. Best Blog Read Now! How Old Should Kids Be for Your Family Gap Year ? In Europe, Australia and the USA launderettes are unfortunately the norm. Hostels usually have their own laundry room. Alternatively book an apartment style hotel with a washing machine, these are well worth paying for sometimes. I tend to wash small items by hand in the sink. shampoo is great for this. They dry in the room overnight is you have a fan or aircon and this cuts down the pressing need for laundry runs. Cruise ships and luxury hotels have expensive per item laundry services, avoid if at all possible. India and Sri Lanka like to copy this very British model, making laundry in those countries sometimes disproportionately expensive. In India don’t be surprised if your laundry is beaten on a rock, buttons don’t last long. We don’t get sick much as we travel but when we have, we’ve found a doctor or dentist easily. It’s really not hard. Even surgery is possible, my husband sampled Thai surgeons work and found it excellent after an emergency operation came at us from nowhere. Without insurance of course, we would have been sunk. Language barriers have never been a problem. In China, nobody spoke English in 2001 so we bought a Mandarin phrase book and pointed at phrases when we got stuck. Even back then many places had menus in English and Chinese. I remember pointing at the Chinese word for “chicken” in one restaurant without translations, we ended up with a whole steamed chicken for dinner. In Central and South America Spanish is the common language and there isn’t much English. Spanish is easy to pick up, we managed. In South East Asia, India, Nepal and Sri Lanka, English is very widely spoken as it is in Europe. Remote areas where the population is older, are the places where English is scarce. We live in a village where nobody speaks English except our expat friends. We get by. Honestly, if you see it as a problem it will be a problem, tell yourself it will be fine and you’ll breeze through. We all have phones with Google Translate these days, it’s a last resort, but it works. There’s couch surfing and there’s working as you travel, both give you a free pass to the see the world your way without hard currency. House sitting is another popular option. We have a full post on travelling, essentially, for free. 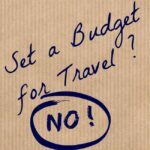 We rarely do any of the above, but we can give you tips on budget travel, in the early days we were masters, now our websites and travel blogging make our global journey more affordable. Again this is personal choice, never slavishly follow somebody else’s packing list. Whether you’re comfortable in jeans, skirts or shorts, take them. Dress to suit you. Do consider cultural norms in your destination country. Nobody likes the tourist with too much flesh on display. What you pack also depends on what you’ll be doing and what climates you’ll be visiting. I’m going to write more detailed posts on what to pack but for now my message is, don’t go out and buy special “travel” clothes, take what you’ve got, discard things as they wear out and replace and upgrade as you go. This post is just a rough outline, a starting point for you as you begin to plan your adventure. I’m going to be adding to it and filling in the blanks over coming weeks. Now over to you. Tell me please, what do you need to know? Just put it in the comments. This is a very nice piece, I really loved reading it up to the end. It is very educative and am sure it will help people plan their safaris with ease! Just wanted to say thank you for your site! We live in Ohio, and plan on traveling for June/July every year (teachers). I lived in Ireland in my 20’s, and my husband and I spent several months backpacking in Australia/NZ/SE Asia before we had kids. Our kids are 5, 3, and 3 months, but we would love to start them on exploring the world, beginning next summer. I appreciate all of the insight. One question I had, was in regards to hotel/guesthouse accommodations. Once our kids get a bit older, do you think most places would still let us do one room, with kids on the floor, or do two rooms? A lot of places have kids under x age stay free if using existing bedding. It can be 5 years, it can be 12 years or anything in between, sometimes even 16, but it varies from hotel to hotel and country to country. It should be clearly stated for every booking engine. So you search for a room for 2 adults, 2 kids, it will ask you their ages and it will only bring up hotel rooms that allow 4 persons of those ages to stay. We got away with sharing double and triple rooms with our two for many years. Now they’re big and we need 4 beds it gets a bit annoying when these child stays free deals come up and it’s just a double room. We cant wedge us all into a double bed any more! But I’d never put them on the floor! Hi Alyson, loving your blog! We are a family of 6 (kids currently aged 6,8,8,10) and we’ve had the crazy idea to travel for 9 months from October 2018. Is travel with 4 kids a crazy plan?! My biggest concern is accommodation for 6 onsbudget. If you have any thoughts on this I’d love to hear them. Thanks! my name is Maria and me and my family are in the process of planning a around the world trip. It’s me , my husband and our 3 year old son. Thanks for some of your advise on the site. Wonderful to hear Maria! Is there anything you’d like to ask? So glad you found our site. You outlined the main points of worldwide travel, Alyson. The new, self-service laundry shops in the Philippines are helpful to tourists. Yes please, we want to travel the world! You post makes it sound easy, and I’m sure it’s easier than some people make it. We lived in the UK for 8 years and travel there is so easy, especially for short breaks here and there. Now we’re back in South Africa (our home) and travel suddenly becomes super expensive and not always easy on the spur of the moment. So now I’ve resorted to planning trips a year in advance – but that’s okay, as long as we get to travel. One thing I would like to know is, is it possible to travel with dogs? I know it’s a crazy question and probably not even possible. But it would be great if we could take our pooches along – after all they’re adventurous too! That’s perfect! I’ll join up to Renee’s group (now I have no excuse not to get onto Facebook). It’s my group Astrid, I’ll give Renee a shout when I see you’ve joined. Cheer! Hi Alyson, I just recently found your site and it’s been super helpful to us as my wife and I are about to embark on our own travel adventure with our 3 kids and two dogs, and that was going to be my question as asked above. We are starting in Europe in a motorhome so if you have any tips on travelling with pets or could add me to your group that would be amazing. There are 2 people, that I know well, who travelled by motorhome with a dog. 1 in Europe, 1 in Australia. They’re both in the group. If you sign up to follow your invitation to join will be in the thank you letter. Cheers! and will ask the question there. I believe every amateur traveler needs to ask himself those questions you’ve mentioned in the post! Thank you for this website! We are looking into designing a Gap Year for our young family. Your sharing is very helpful and I feel more at ease now. Hi Nancy, glad you found us. Hope we can help at every stage of the way. Enjoy your time with your family! I’ll have to go look see what the first bit was again. So no suggestions Melanie, nothing you think should be there at this stage. I always publish posts half formed these days and add to them as I go. Now they don’t go out to followers in email notifications I can play around more.